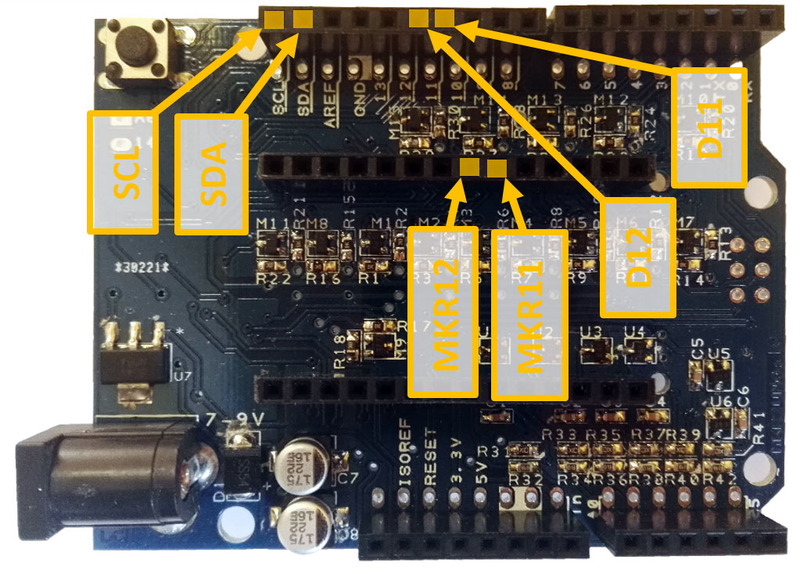 Arduino MKR boards have SCL and SDA pins on D12 and D11 (we are going to call them MKR12 and MKR11 to distinguish them from D12 and D11 on the MKR2UNO Plus board). 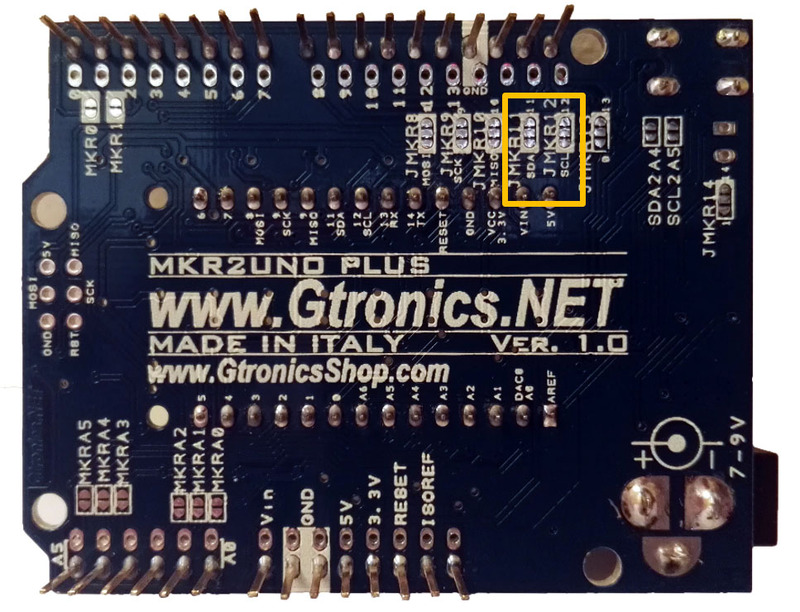 MKR12 connects by default to SCL and D12 pins on the MKR2UNO Plus board by means of JMKR12. MKR11 connects by default to SDA and D11 pins on the MKR2UNO Plus board by means of JMKR11. You can disconnect MKR12 from SCL or D12 cutting JMKR12 (see pictures below). 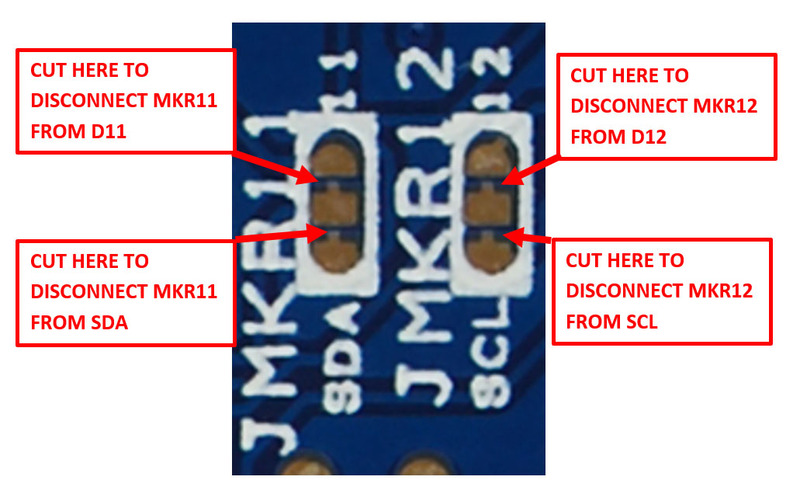 You can disconnect MKR11 from SDA or D11 cutting JMKR11 (see pictures below). Configure the MKR2UNO Plus according to your project needs. Once cut, you can reconnect MKR11 to D11 and / or SDA soldering a little drop of tin. Once cut, you can reconnect MKR12 to D12 and / or SCL soldering a little drop of tin.